Eurovudas Pau Log Cabin: The Eurovudas Pau Log Cabin features a large double door with Georgian style glazing and Pent style Roofing. This building with its low roof ridge height and pent styling creates an unobtrusive yet attractive feature in the garden whilst offering a very practical storage space and can also be used as an extension to your living space as perhaps a garden office, children’s playroom or simply a leisure room to enjoy the garden. 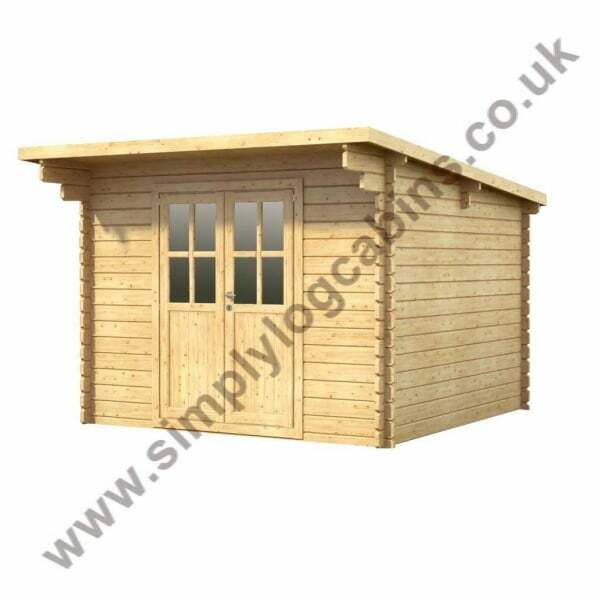 The traditional Nordic build style of this cabin creates an easy to assemble and extremely sturdy structure. The Norland range also feature chalet corner jointing to give that extra timber jointing for extremely good weather resistance.